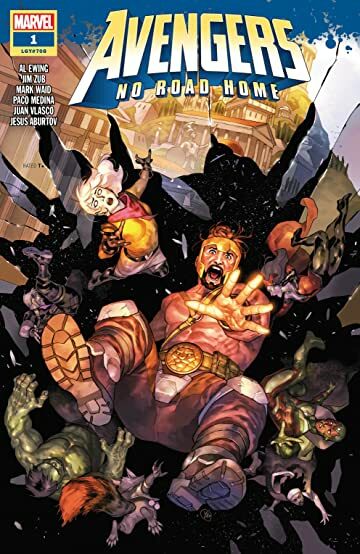 The new weekly limited series featuring the Avengers dropped this week and I enjoyed it a great deal. This first issue was basically setting up the story and assembling the crew. And this group of Avengers looks to be an awesome combination. The group is brought together by Voyager, the “Avenger” who was involved in the big No Surrender story arc. The group included Hercules, Rocket Raccoon, Clint Barton (Hawkeye), Scarlet Witch, Vision, Hulk, and Spectrum. This group has a lot of intriguing interactions between this group of Avengers and I enjoyed the characters. I have always liked Hercules and the way Marvel has portrayed him. This story, though, has also showed a different side of Herc. The final page of this issue looked so awesome. The art of Paco Medina is top notch here and the combination of writers on this book (Waid, Ewing & Zub) are wonderful. I am compelled by the beginning of this. The weekly arcs that they have done at Marvel have been inconsistent so far, but this Avengers arc is off to a great start.